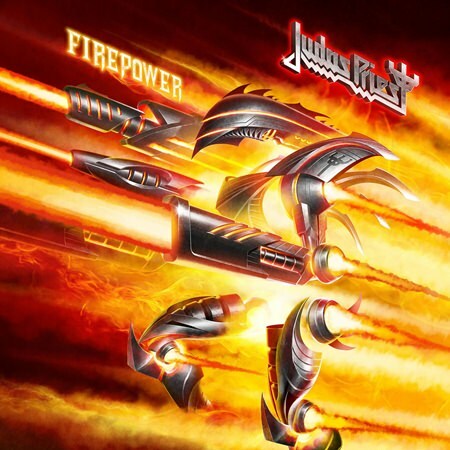 “Firepower” is an apt title for this album by the premier British heavy metal band – the mighty Judas Priest. It is (inclusively) the 18th studio album from the band when taking into account all previous incantations of the line-up, but this must rate as the best since “Painkiller” in 1990. Throughout the fourteen tracks the band members are barely kept on their leash as they fire salvo after salvo of heavy metal into their adoring fans. This is definitely not music for the feint of hearted! As the guitars rip into the opening title track “Firepower”, there is no letting up as Rob Halford lets forth with one of his mighty screams before entreating the troops into battle. Of course, what do you expect! The twin guitar attack of Glenn Tipton and Ritchie Faulkner is the most feared in rock, backed by the mightiest rhythm section in heavy metal – Ian Hill (the one remaining member of Judas Priest through their many changes over the last nearly 50 years) on bass guitar and Scott Travis on drums. The sound you get from each track is pure heavy metal music in the Judas Priest style, which makes it heavy metal at its best. “Firepower” is an excellent opener, and is immediately backed up by tracks that are as good or even surpass it. Out of several standouts, “Flamethrower” has to be right up there with one of the best introductions to any Judas Priest song ever, and then it just takes off at the speed of fire with the rhythm section thundering along behind it. “Traitor’s Gate” begins with a deceptively low guitar ripple before the chariots arrive to run you over. Rob Halford’s vocals are particularly powerful on this song, making you realize how the course of treason has to be brought to its correct conclusion. When Halford sings… “My life’s been taken hostage and it’s never coming back”… it leaves you knowing exactly how he stands on the subject. 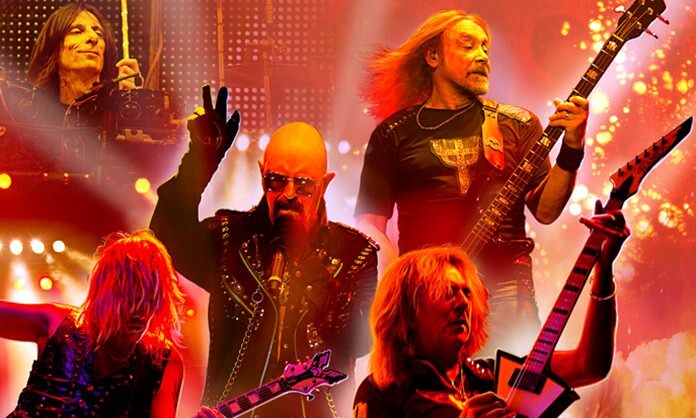 The first thirteen tracks belt right out of your speakers like the proverbial bat out of hell and all will be welcome additions to Judas Priest’s new upcoming set list. The Priest bow out on a powerful ballad called “Sea of Red”, proving that Halford’s voice can handle ballads as well as his trademark 1000 volt rock’n’roll screaming. It’s a fitting ending to this fine collection from one of Britain’s finest bands and the guitar work on this track is mesmerizing, bringing the ballad to new heights. The production work on this album was done by Tom Allom, who keeps it clear, crisp and heavy. It’s the first time he has worked with Judas Priest since 1990 on “Painkiller”. His co-producer was Andy Sneap who has been drafted in to cover for Glenn Tipton on band duties. Tipton has been bravely fighting the debilitating effects of Parkinson’s disease for ten years but now feels that the rigors of the road will be too much, so has passed the baton of one half of the twin guitar line-up to Sneap for the Firepower Tour to support the album. I am sure we all wish Judas Priest the very best in their endeavors. Firepower gets a rock solid 5 stars. British heavy metal band Judas Priest. 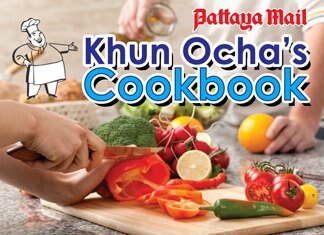 Note: Written By Mott The Dog and Hells Bells, both of who can be found breathing fire at Jameson’s Irish Pub on Soi AR, North Pattaya.